The Bayleaf launched ‘Afternoon Tea’ in partnership with Watawala Tea Ceylon, serving up a unique experience for tea lovers, featuring 15 special blends alongside an array of finger food at its Wine and Tea room or private rooms daily from 2 p.m. to 6 p.m. The Zesta connoisseur collection offers 15 unique blends of tea specially crafted for The Bayleaf Wine and Tea Room and private rooms ‘Afternoon Tea’ experience. The blends are categorised into black tea, black teas with herbal and fruit infusions, green teas, exotic infusions and Silver Tips white tea. A single cup of tea is priced from Rs. 200 to Rs. 600 and a pot of tea from Rs. 350 to Rs. 1,000. With an early reservation, diners can enjoy the ‘Afternoon Tea Deal’ with a selection of three sandwiches, savouries and sweets each, coupled with one tea flavour of your choice for just Rs. 825 per person or Rs. 1,600 for two. 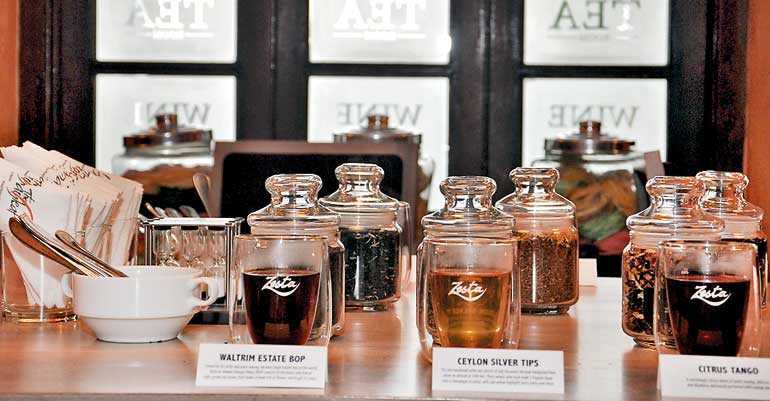 Zesta’s signature blend for The Bayleaf, ‘The Bayleaf Delight,’ is a black tea with fruit and flower infusions, while the Black Tea section also offers a ‘Waltrim Estate Broken Orange Pekoe’ (BOP), a single estate tea rich in flavour and colour. 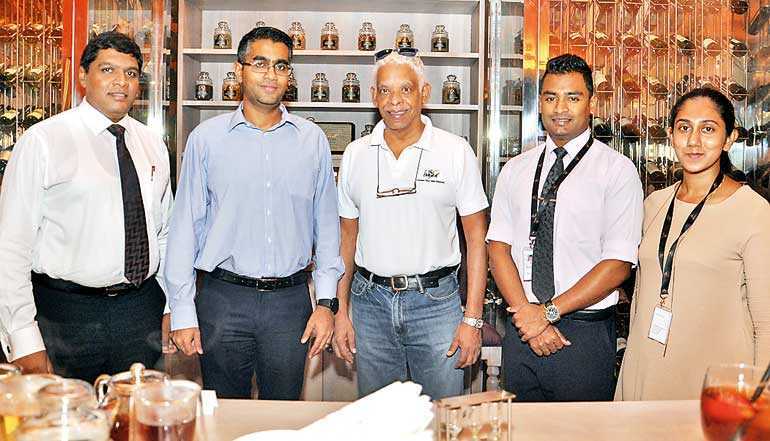 There’s a ‘Jasmine-infused Green tea’ made with a premium blend of Ceylon green tea too. Among the more exotic infusions are a special ‘Detox tea’ made with a mix of four herbs for a cleansing and rejuvenating experience and the high end is the White Tea, ‘Ceylon Silver Tips,’ which is a rare handmade white tea consisting of handpicked tea buds that makes a champagne-shaded tea with yellow highlights and a pink blush. The crowd favourite was the ‘Pumpkin Spice’ tea which carried an exclusive flavour of pumpkin pies made with black tea infused with cinnamon, ginger, nutmeg and cloves. 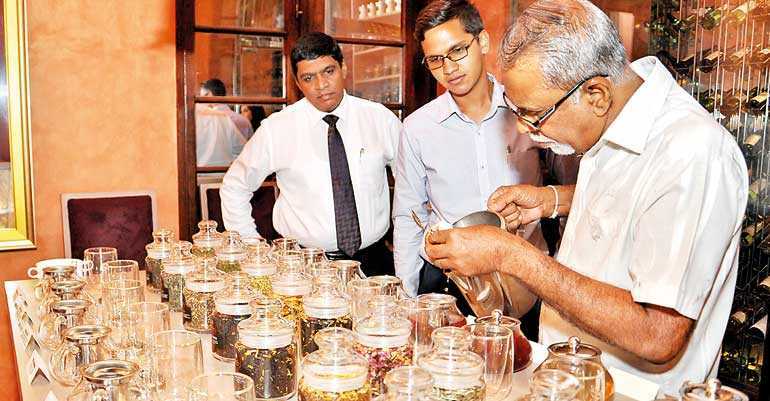 The Bayleaf’s food magician, Executive Chef Saroj Kaluarachchi, had created a special menu of finger-food to complement the unique blends of tea, including a choice of six sandwiches, five savouries and six sweets. ‘Afternoon Tea’ by Bayleaf along with Zesta is committing to perfect the art of tea by also arranging special tea presentations to promote tea making and tea tasting to interested groups and also making these special blends available for retail sales at the Wine and Tea room. For reservations call The Bayleaf restaurant hotline at 0112695920, or for more information log into www.bayleafcolombo.com.